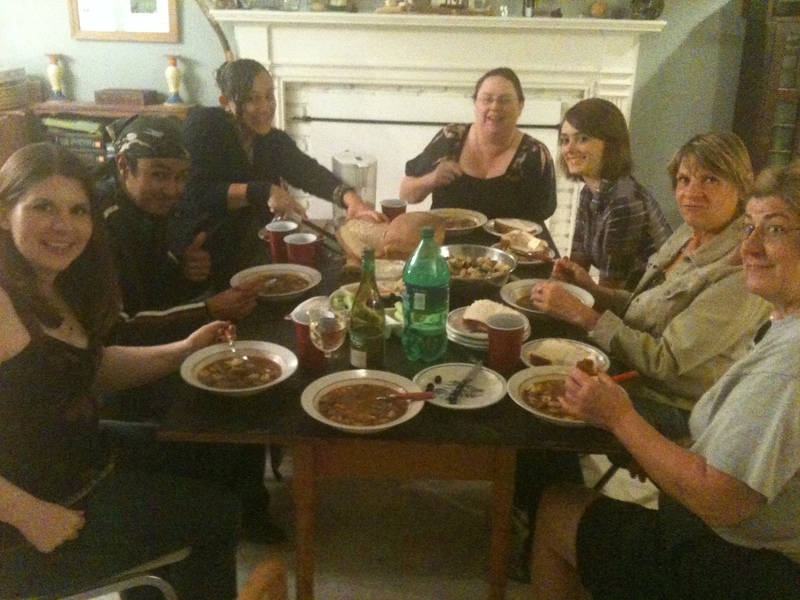 All the members of UUPS and a few guests from Salt Lake Pagan Pride Day gathered at the House of Muad’Dib on Sunday, September 25, 2011 at 7pm to celebrate the deities, prepare for the dark times and give thanks for blessings received. The ritual started at sunset and included praise, music, drums, dance, a ritual putting out of the light times fire and the lighting of black candles in semblance of the coming dark period and ruling time of the God. President Muad’Dib took all those present on a path working to the Crone and used pear fruit to help those present think about what they want to do in the coming months of introspection, reflection and darkness. Afterwards was the traditional feasting which included freshly baked bread! All in all it was an excellent feast and celebration! Till next we meet!